These are project that I’ve worked on that are either no longer active or have been supplanted by significant new versions. I built the original Movie Fan Central as the social network for the JoBlo.com movie news and review site. It was written in Ruby on Rails and required an integrated user management system with an existing vBulletin database. The site included all the features of a typical social network — friendships, an activity stream, and private messages — as well as features specific for movie fans, such as movie reviews, libraries of DVDs, and shareables lists (top 10 actors, etc), and custom movie-related site themes (Jaws, The Dark Knight, etc). An admin backend was built to give site administrators the ability to block accounts as well as compile analytics and site trends. I built the first two versions of the site from 2009-2010. The site remained active until 2018. Highland was the first Fountain text editor for macOS. 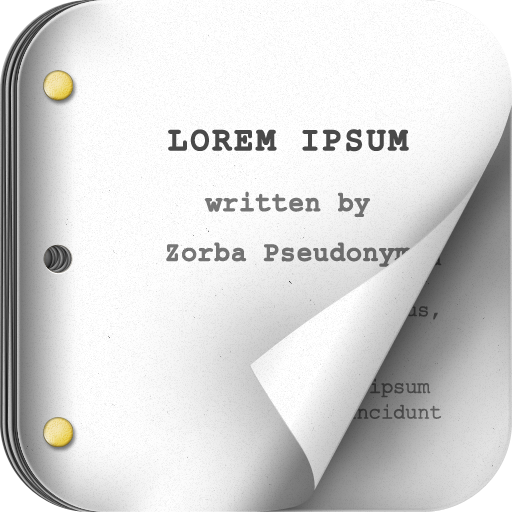 It included a PDF parser built using Cocoa’s Quartz C API for PDF handling, converting screenplay PDFs into editable plain text. Highland has changed my entire way of working with scripts. Now that I know my screenplays and TV scripts aren't trapped in one particular software's format, I have the flexibility to use the tools I need for the particular part of the process. I use it every day. Highland 1 was awarded a Macworld Editor’s Choice Award in 2013. Bronson Watermarker 1 was a batch PDF and image watermarker for macOS. Released in 2011, Bronson developed for John August while he developed the stage play Big Fish for Broadway. Bronson was the first app that let users create stacks of watermarked files from a list of names. Released in 2011, FDX Reader was the first screenplay reader for iOS. Developed for the original iPad, FDX Reader let users view Final Draft documents, with user selectable text font and size options, page flipping like iBooks, and a scroller to rapidly jump between pages. Support for the iPhone was added, with a new user interface specialized for the smaller screen and slower CPU. Loving this app. Love the page color and graphics. Makes me want to write something. Beautiful work.